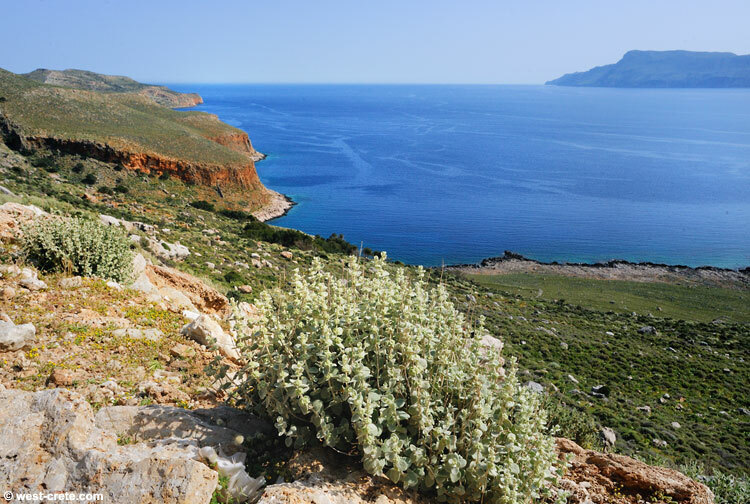 Making use of one very special quality of Crete - the proximity of the mountains and the sea - I decided to go for a walk to the very tip of the Gramvousa peninsula. It's only a short (about 90 minutes each way) walk on an easy path and offers lovely sea views. A nice change from the snowy mountains. The photo above was taken from the roadside on the way to Balos. I'll show more photos from the walk in the next couple of days.